RUSSIA. 2011. Near Elektrogorsk. 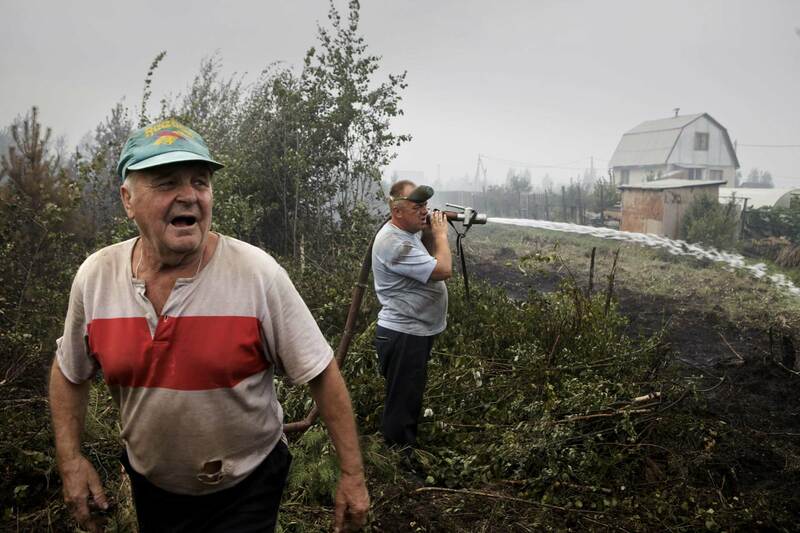 At the front line of a forest fire dachniks have been fighting for several weeks to prevent the fire from engulfing their dacha community Rosinka.